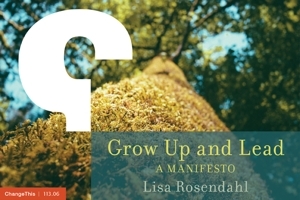 Lisa Rosendahl — What is it all About? Blogging is about taking an issue that resonates with you and creating connections with other people, their thoughts, and their ideas. It is about learning from others and expanding your horizons and it is about new ideas. Blogging is about reflection and insight. It is about insight that moves you forward by small steps and then, when you are least expecting it, by a light year.